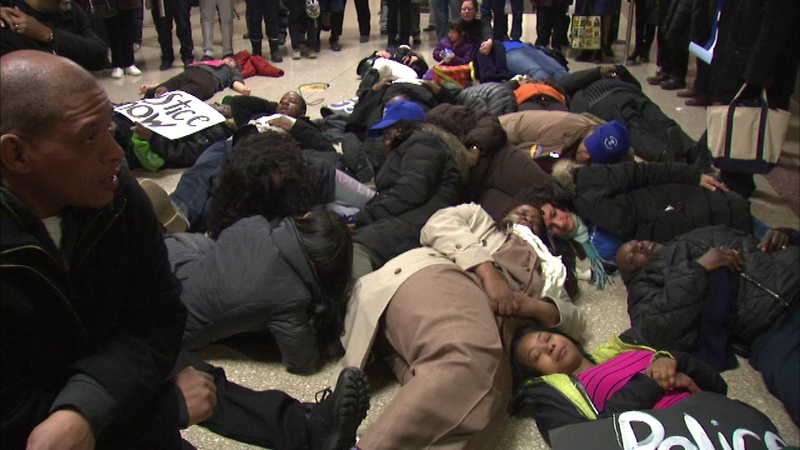 CHICAGO (WLS) -- A coalition of community activists and clergy held a protest against police brutality outside the mayor's office at City Hall on Tuesday, which included a die-in. Protestors blame Mayor Emanuel for failed policies which they say have allowed police brutality to remain unchecked. The mayor's office responded saying, "The mayor and superintendent have zero tolerance for police misconduct, which is why we have implemented new training and procedures geared toward ensuring past incidents of police misconduct are not repeated."